Wellcome Trust Engagement Fellow, Richard Barnett’s new book, The Sick Rose is about disease and the art of medical illustration. 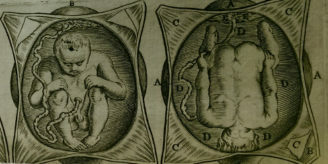 Largely based on images from the Wellcome Library collections, its contents are at times explicit and uncompromising representations of illness. Here he reflects upon some of his ethical concerns when writing the book. To be honest, though, you could have learned as much from the press release. What I really want to write about here is a sense of unease that accompanied my work on The Sick Rose, a question that moved from the back to the front of my mind as I spent more and more time with these images. This proved naggingly difficult to articulate until I read Suzannah Biernoff’s 2012 essay on ‘Medical Archives and Digital Culture’ (with thanks to Ross MacFarlane for the reference). 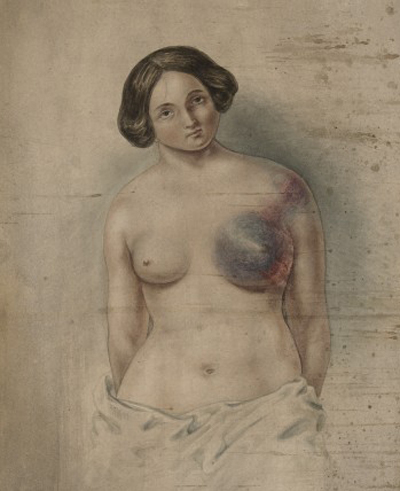 Watercolour drawing of a woman suffering from cancer of the left breast by John G Westmacott, 1852. Biernoff writes about ‘acts of appropriation’ – occasions when images made in a particular (often fairly narrow) clinical context, and which show suffering, disease or disfigurement, reappear in a completely different setting as the raw material for art or entertainment. Her analysis is built around the 2007 computer game BioShock, in which photographs from the Gillies Archive, showing a First World War serviceman with severe facial burns, were used as the basis for a monstrous character. I want to think that The Sick Rose is an entirely different kind of case – a judicious selection of significant images presented in a manner at once respectful, dignified and enlightening. Of course this is what I want to think: I’m an academic historian, a Wellcome Trust Engagement Fellow, and (not least) the author. But I cannot see a way of escaping Biernoff’s question. What are the implications when a book like The Sick Rose appropriates pictures of suffering people and dissected bodies? How, in other words, should we look at these images? More bluntly, should we look at them? I should say right now that I don’t have a good, clear answer to either of these questions. My train of thought begins, like Biernoff’s, with the nature of the power images like these possess. They are hard to look at, and hard to stop looking at. They hold one’s gaze, even as one might wish to turn away. They fascinate and horrify. To borrow a distinction drawn by the filmmaker Jonathan Meades, there is no prettiness here, but much beauty. They are uncannily articulate, speaking in a voice that is not wholly their own. They undermine the seeming integrity of the viewer’s own body and, by foreshadowing its ultimate destruction through disease, injury and death, they conjure a peculiarly intimate sensation of the sublime. Considered as portraits, many are exquisite: you would have no difficulty recognising the subject if he or she walked into the room. Not all are dignified – some record moments of remarkable indignity – but all depict something that happened to someone, somewhere. It’s with this thought that my unease begins to intensify. 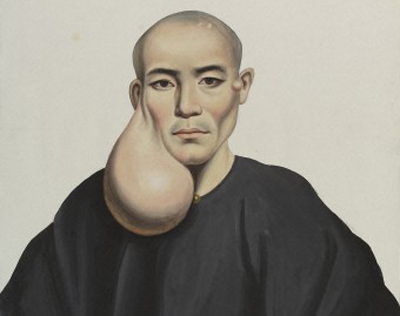 Looking at Lam Qua’s gouaches of patients at the Canton Hospital, or at John Guise Westmacott’s watercolours of a woman suffering from necrosing breast cancer, I find myself subject to their own level gaze, suddenly brought up against the possibility of what Biernoff calls ‘the wish not to be represented’. And what about the innumerable livers and hearts, the glistening, elegant prosections and the ragged chunks of post-operative or post-mortem flesh – specimens that lack a gaze to catch mine, but which are no less human and, in their way, no less expressive of suffering? As a historian I might comfort myself with the thought that I am deepening my readers’ understanding of these images by setting them in context. 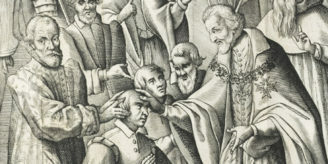 But, as Ludmilla Jordanova has pointed out, the traditional aim of social history – explanation through contextualisation – breaks down here: ‘For each image, there are innumerable contexts, since they are constantly being transplanted and transformed, re-viewed by each generation.’ By writing about these images I am fully responsible (as are the readers of The Sick Rose) for making a new context in which they are seen. So what would I say to a reader of The Sick Rose? These images are, to borrow a phrase from Claude Lévi-Strauss, good to think with. Working with them has made me reconsider the impulses that led clinicians and librarians to keep them out of public circulation, and the factors that now lead us to digitise and upload them for a global audience. They should shock us, move us, jolt us out of any sense of complacency over our individual or collective wellbeing; something would be wrong if they did not. They are a magnificent historical and aesthetic resource, and a record of human suffering and of attempts to understand and to relieve it. We would be all the poorer if they were concealed; equally, they should not become mere visual shorthand for a kitsch, knowing and emptily ironised attitude to sickness, suffering and death. At the same time, though, I am drawn to wonder whether, in a culture built on the primacy of the visual, and in which aspects of our identity are dispersed in a digital sandstorm of images and text, these images are also in some sense human remains. And that makes me want to be very, very careful about what I do with them.